By selecting the components suitable for your needs in cooperation with our experts, we can build a solution that is suitable for you in the utilisation of both production and business information. Our cloud service for the efficient implementation of IoT solutions. 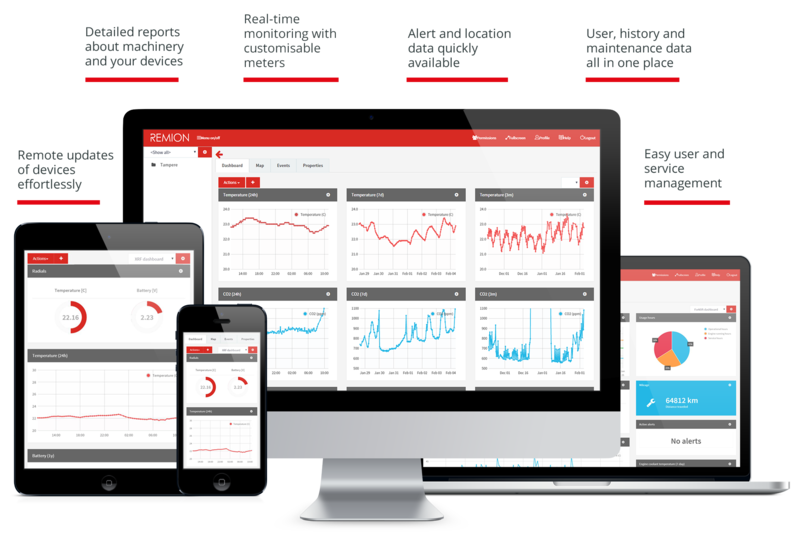 Our praised user interface platform for the comprehensive use of IoT services. Our cornerstone for data collection, control and communications that take place in the field. Our background service for the management of equipment around the world and for the processing of data flows. Our vibration analysis tool for the analysis of maintenance needs of critical subjects. 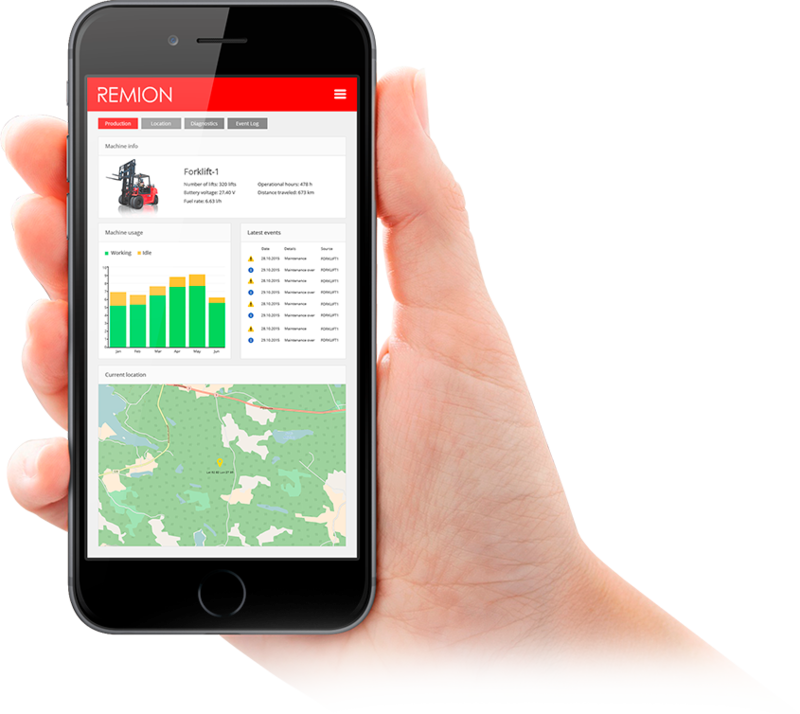 Real-time access to the user and maintenance data of machines and equipment. We create genuine business value by combining and refining data. We build automatic tools for making humane observations on data. Thus, we save your time in decision-making. We implement adapted web and mobile user interfaces using the latest front-end technologies. We continuously conceptualise new user interface technologies, so that we can suggest and utilise them for special user needs. The Regatta services provided Rolls-Royce with up to 50 percent savings in working hours. The correct remote monitoring tools free the team from manual troubleshooting for the processing of complete data and the prevention of problems. The Regatta services provided Rolls-Royce with up to 50 percent savings in working hours. The components of implementations that are based on Regatta have been adapted and tested for a number of different equipment types, server, operating system and database platforms, data transfer protocols and end equipment. Therefore, their implementation and any customer-specific adaptations can be completed quickly and effortlessly. We actively update, develop and maintain Regatta and its features – you can be sure that you always have access to the best applications and know-how. Regatta offers interfaces and tools for system integrations. Thus, we can develop a solution that is integrated in the existing infrastructure or safeguard services in the changing environment of the further development path’s future. Regatta is a modular solution which can be expanded according to the company’s needs and objectives – from pilot projects to large industrial internet system projects. Services that are based on Regatta are already used to monitor tens of thousands of machines and equipment around the world.